Kevin Pasdon from Peabody is the first aid on the set of Seth Mac Farlane's movie, Ted. 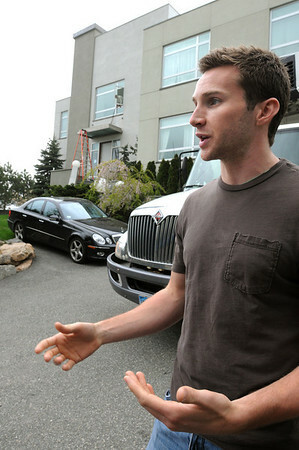 Scenes form the movie will be shot at 441 Atlantic Avenue in Swampscott on Wednesday evening. Photo by Ken Yuszkus/Salem News, Wednesday, May 4, 2011.